University of Maine at Presque Isle President and Provost Ray Rice has announced that John L. Estrada, the former U.S. Ambassador to Trinidad and Tobago, will deliver the commencement address during the University’s 108th Commencement Ceremony, to be held on Saturday, May 13, 2017. During the event, an Honorary Doctor of Humane Letters Degree will be presented to Laurence A. Park, who is part of a long legacy of Park family members who have been integral in the life of the campus. John L. Estrada was nominated for his ambassadorship by President Barack Obama and served as U.S. 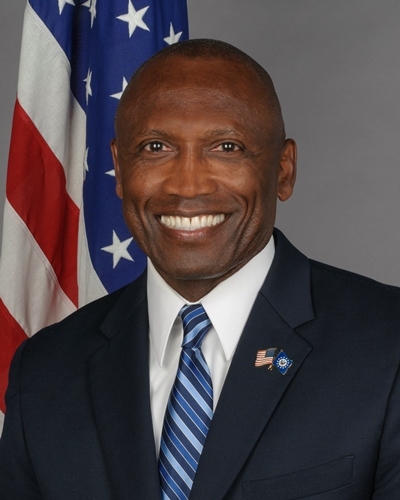 Ambassador to Trinidad and Tobago, the Caribbean islands of his birth, from 2016-2017. 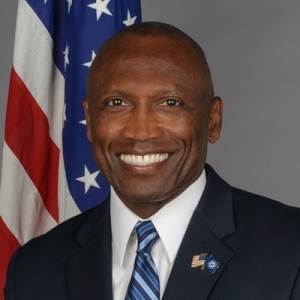 As the President’s personal representative, he was responsible for furthering the U.S. diplomacy interest in the bilateral relationship with the government and people of Trinidad and Tobago. His priorities included addressing the foreign terrorist fighter issue, granting visas, partnering with the host government on building its law enforcement capacity to combat local crime and transnational criminal activities arising from South America, and partnering with the host government to reform its judicial system. Estrada immigrated to the U.S. in March 1970 and served 34 years of continuous active duty in the U.S. Marine Corps from September 1973 to October 2007, culminating in his last four years serving as the 15th Sergeant Major in the history of the Marine Corps, the highest enlisted rank. He is the recipient of the Navy Distinguished Service Medal, the Bronze Star, the Meritorious Service Medal with three gold stars, the Navy and Marine Corps Commendation Medal, the Joint Service Achievement Medal, and the Navy and Marine Corps Achievement Medal. Estrada later served as Senior Manager for Lockheed Martin Training Solution Incorporated, a wholly owned subsidiary company of Lockheed Martin Corporation, from 2009 to 2016. He also served as a commissioner on the American Battle Monuments Commission, the guardian of America’s overseas commemorative cemeteries and memorials, from 2010 to 2016. Estrada and his wife, Dr. Elizabeth Cote Estrada, reside in Presque Isle with their twin daughters. Laurence A. Park is a well-known farmer, conservationist, and local expert on the history of UMPI and Aroostook County. After serving in the U.S. Air Force, he became a potato farmer, woodlot owner, and served as the Supervisor of the Central Aroostook Soil and Water Conservation District (SWCD) for 30 years. He took on many leadership roles over the decades, including with the National Potato Promotional Board, the Rural America Bicentennial Planning Committee, Young Farmers Organization, Aroostook County Extension Association, Small Woodland Owners Association of Maine, and Presque Isle Historical Society. Park was the SWCD Conservation Farmer of the Year in 1973 and its Forest Landowner of the Year in 2003. He and his wife Edith received the Outstanding Tree Farmer of the Year Award from the Maine Tree Farm Program in 2008. Their 100-acre woodlot has been a certified tree farm since 1982. Over the years, the couple has given woodlot tours to area school children and hosted Envirothon competitions. Through Park’s efforts, wood trails on his farm connect to ski trails at Aroostook State Park, providing skiers with miles of scenic trails. Park is one of the many members of his family who have provided strong support to the institution over the decades. His grandfather, Rev. George M. Park helped establish the Aroostook State Normal School, and his uncle Clinton DeWitt Park, contributed to the financing of the athletic fields, called the Park Family Field. One of the University’s dormitories, Park Hall, was dedicated in 1969 in honor of Rev. Park. Park now serves as the steward of the Rev. George M. Park Scholarship, which was established by his uncle in his grandfather’s honor. The University’s Commencement Exercises are scheduled for 1 p.m. on Saturday, May 13, in Wieden Gymnasium. This year’s Commencement will be live streamed on the University’s website. Viewers can directly access the livestream starting at 12:30 p.m. on graduation day by visiting umpi.edu/livestream.